The Song of el Cid, verses 2691 et seq. 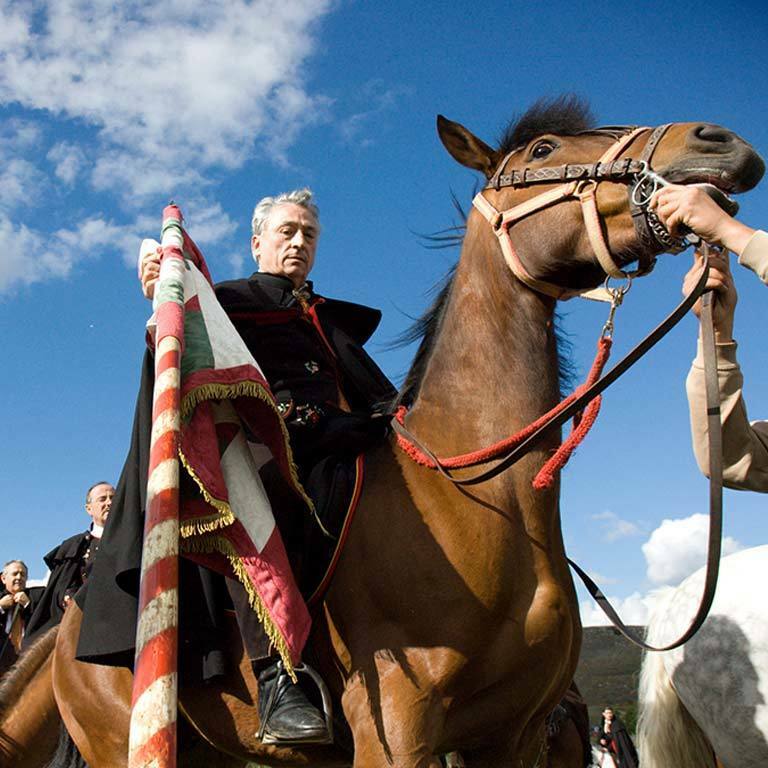 According to the Cantar de mío Cid , in order not to be discovered, the hosts of el Cid ride at night and rest for the day, avoiding strongholds like Atienza's, which the poem calls "a strong rock" ("una peña fuerte"). 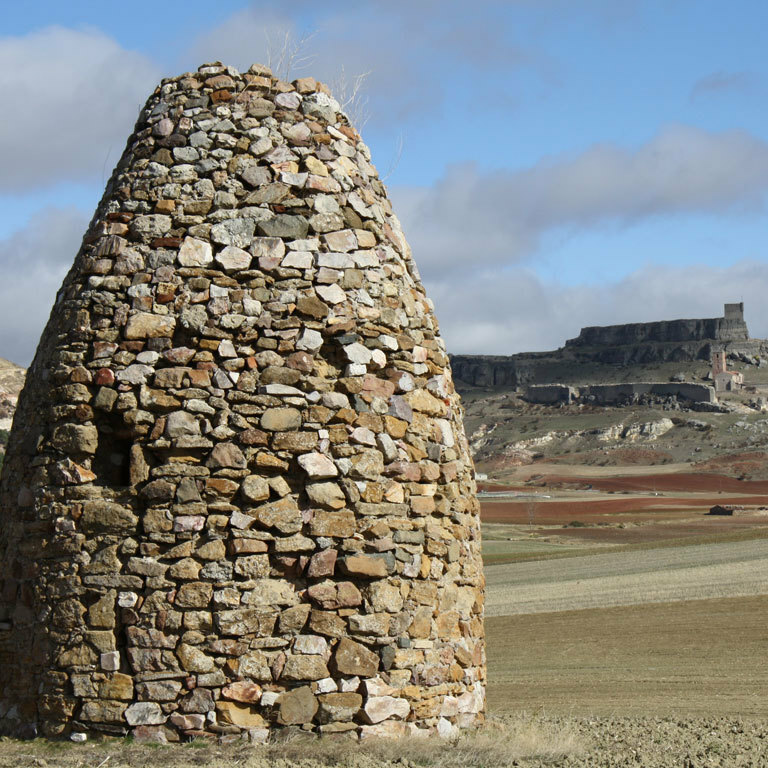 The story offers more information about the village: the situation of Atienza, in the border area between the Christian kingdoms of the north and the Muslim kingdoms of the south, meant that during the 9th to 12th centuries Atienza changed hands on several occasions. There is not much documentation about the medieval past of the town: apparently, at the beginning of the 11th century, the caliph of Córdoba, Sulayman, handed it over to Count Sancho Garcés along with other fortresses, such as Gormaz, as consideration for the military support by the count in his struggle for the caliphate. 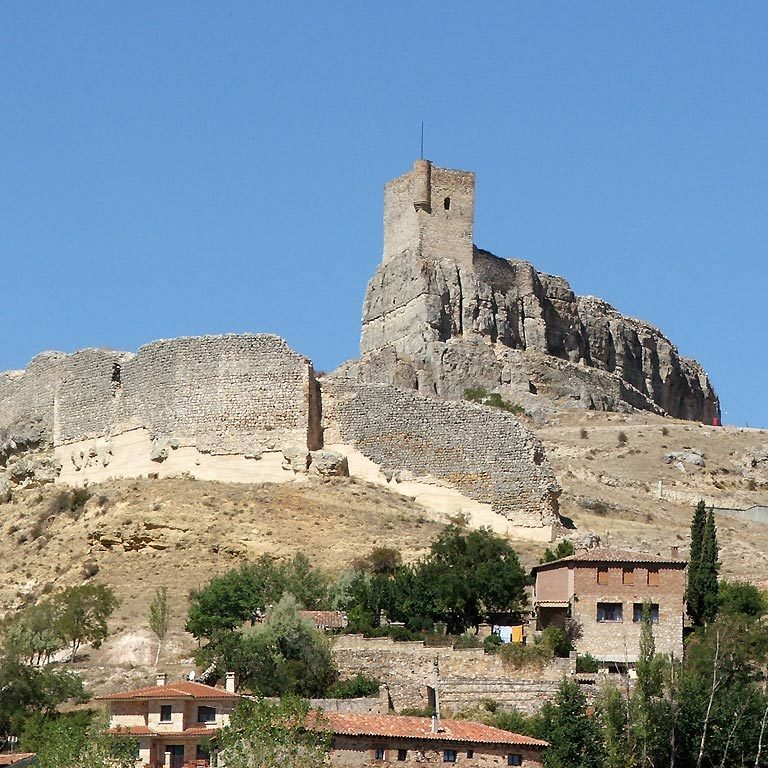 By then Atienza was already fortified (the historian Al Razi states that already in the tenth century Atienza was one of the strongest fortresses north of present-day Guadalajara), although the origins of the current castle date back to the 12th century. 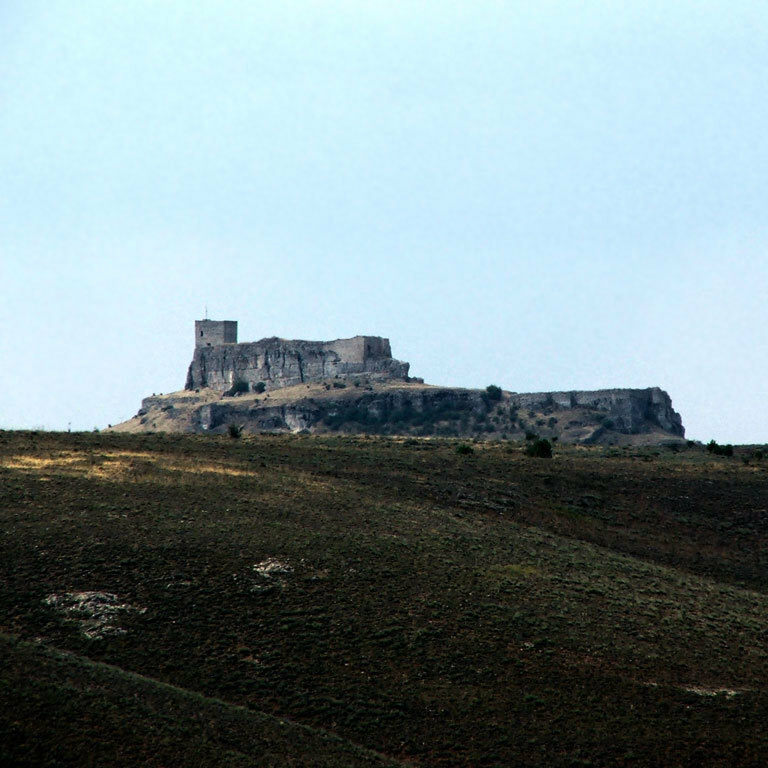 After the disintegration of the Caliphate, Atienza belonged to the Taifa kingdom of Toledo, and was conquered by Alfonso VI in 1085, although it would not definitely pass into Christian hands until 1112, when Alfonso I of Aragon El Batallador conquered the castle. In 1149, Alfonso VII granted jurisdiction to the town, and shortly thereafter, the still young Prince Alfonso VIII was the protagonist of the nobiliary internal struggles from which he left unscathed thanks to the help of the inhabitants of Atienza, who still celebrate this fact in the Fiesta de la Caballada, a festivity that dates back to 1162. Atienza is a surprising town with a rich and large heritage, much of it can be seen in its three museums (a surprising number considering that the town has less than 500 inhabitants) and its streets, which still recall much of its medieval past . A walk through the urban center deserves a lot of surprises. 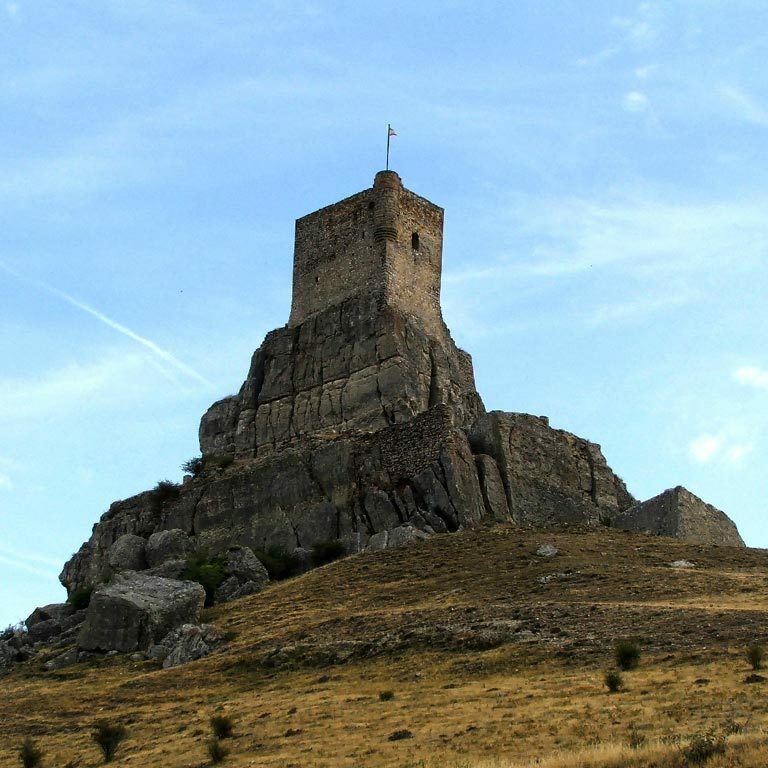 Under the silhouette of its castle, always dominant, time seems to have stopped in the steep streets, in its churches of Romanesque origin, or in the supported places, typically Castilian. It is worth to go to the castle. 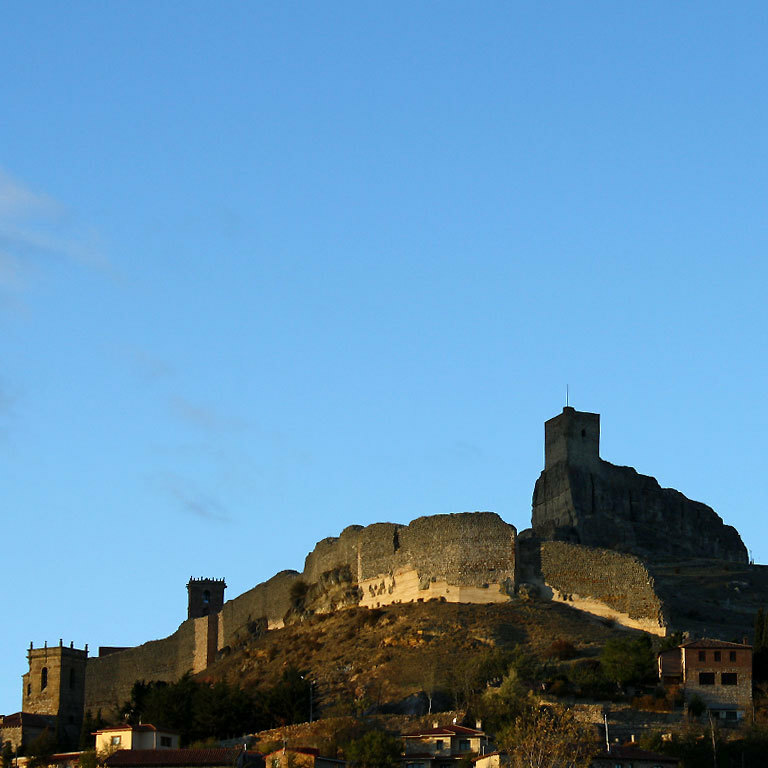 The fortress tower that today distinguishes the town was used as a prison: people of Atienza assure that one of its "guests" was Francisco I of France, who was temporarily retained after the battle of Pavia, in 1525. 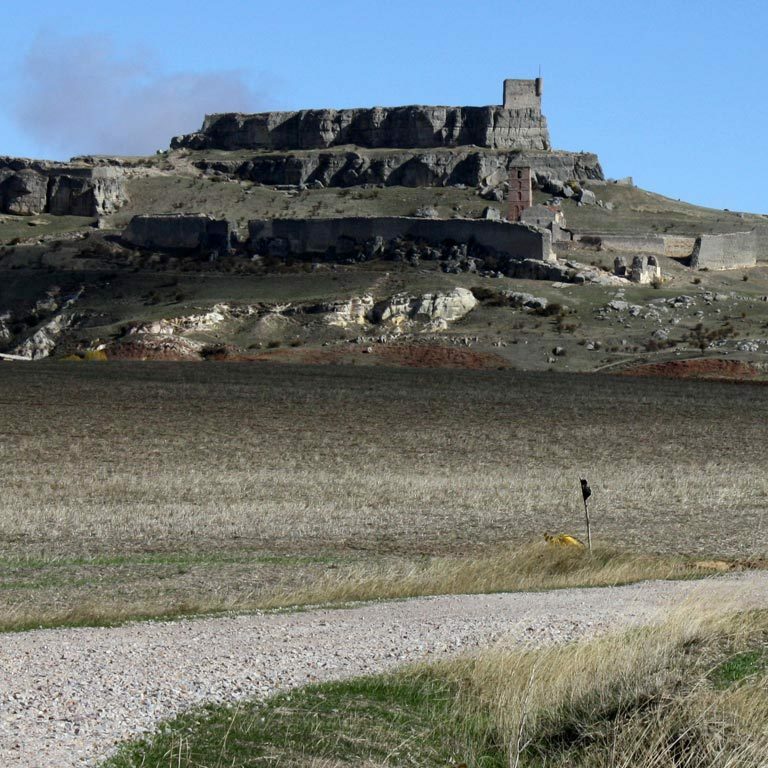 The ascent to the castle gives us some unbeatable views all around, and it explains the strategic importance of Atienza. Next to some imposing walls, remnants of the original triple wall of the town, is the church of Santa María del Rey, built in 1112 according to the inscription on the north door to commemorate the "liberation" of the town, until then in Muslim hands. In all likelihood, as was the custom, this church of Santa Maria was built on the old mosque, which gives an account of the arch of the north entrance, which can be read in kufic script: The importance of Allah. Of the early church from the 12th century remains the apse, unusually quadrangular, and the doors, from the 12th and 13th century. The South Gate, of the XIII century, of late Romanesque style, is very unique, and has hundreds of carvings of saints, angels and demons, unfortunately in poor conditions. From Santa María, the traveler can get into the streets and visit its museums, located in three churches. The Museum of Religious Art of San Gil surprises for its heritage, while the San Bartolomé museum, located in the Romanesque church of the same name, houses pieces of great interest along with an amazing collection of fossils. 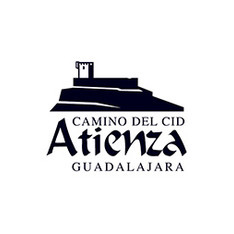 Atienza is an important village and possesses numerous services for the traveler. 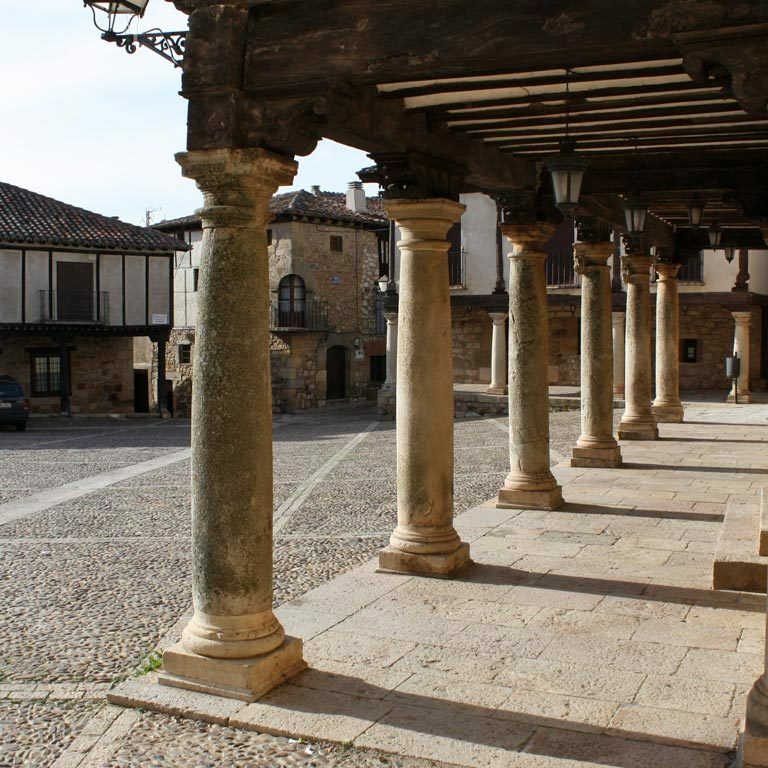 The famous festival of La Caballada, which takes place every Sunday of Pentecost, has its origin in the liberation by the inhabitants of the townof the child king Alfonso VIII in 1162. Atienza has many attractions for fans of history and art, but if you like Romanesque you can not miss the cover of the church of Santa María del Val. It is worth to see the acrobats that hold the archivolt of the cover, as it is an unusual image in the Castilian Romanesque. The bus company ALSA makes the journey Atienza - Guadalajara - Madrid, and Madrid - Guadalajara - Atienza every day of the week. 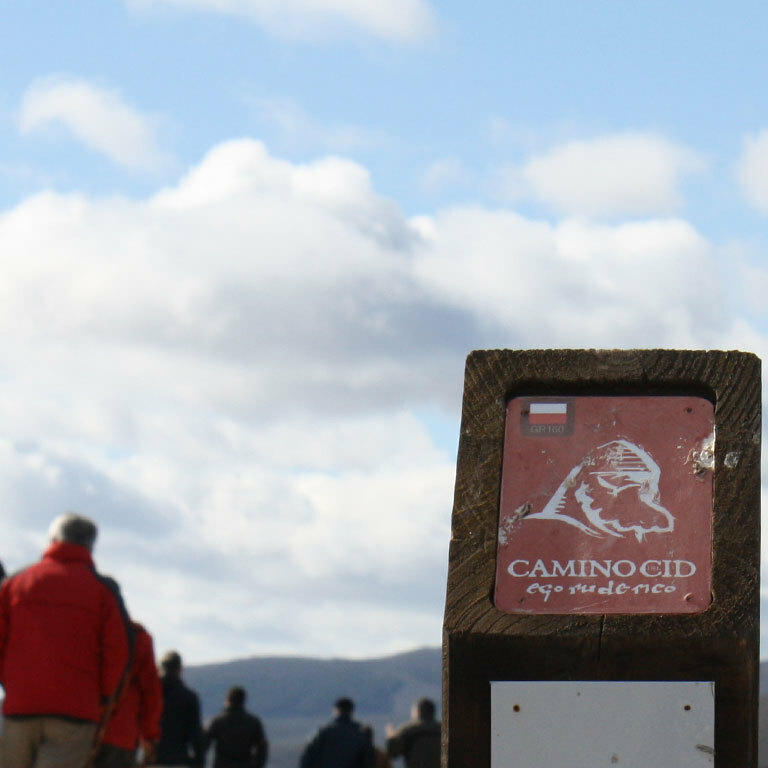 The bus does not enter the town but picks up and leaves the travelers at the Cantaperdiz junction, about 3 km from Atienza towards Soria. If you travel by bicycle, please take into account ALSA only allows you to transport a maximum of 4 bicycles and that it charges a supplement that you must add to the price of the ticket. You have to check the availability before doing the trip and pack and dismantle the front wheel to put the bike in the luggage rack. For more information: 902 422 242 (it is an automatic switchboard) and web www.alsa.es. There is another bus company - Campos - which also offers service although in this case from Atienza to Guadalajara and from Guadalajara to Atienza (they do not arrive in Madrid). These buses enter in the municipality but they have not space to bicycles. The don´t travel every day of the week so if you want to check the frequency you have to contact them through 679 194 894.